Ernest William Hornung was a British author. The third son of John Peter Hornung, a Hungarian, E.W. Hornung was born in Middlesbrough. He spent most of his life in England and France, but in 1884 left for Australia and stayed for two years where he working as a tutor at Mossgiel station. Although his Australian experience had been so short, it coloured most of his literary work from A Bride from the Bush published in 1899, to Old Offenders and a few Old Scores, which appeared after his death. 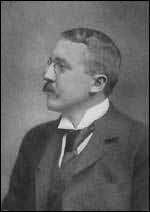 After he returned from Australia in 1886, he married Constance Doyle, the sister of Sir Arthur Conan Doyle, in 1893. Hornung His most famous creation, ""gentleman thief"" A. J. Raffles, first appeared in Strand Magazine and then in other British magazines during the 1890s. The stories were later published in The Amateur Cracksman (1899), a collection. Other titles in the series include The Black Mask (1901), A Thief in the Night (1905), and the full-length novel Mr. Justice Raffles (1909).